Dr Tomoki Arichi is a MRC Clinician Scientist and Clinical Senior Lecturer in the Centre for the Developing Brain, King's College London. He received his PhD from Imperial College London in 2012, following the award of a Chain-Florey Fellowship from the MRC Clinical Sciences Centre. The work of his thesis focused on the optimisation of functional MRI techniques for studying activity in the newborn brain. He was appointed as an MRC Clinician Scientist in March 2017. 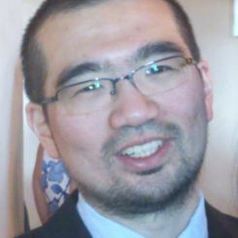 Dr Arichi also holds an honorary position as a Consultant in Paediatric Neurodisability in the Evelina London Children's Hospital. His clinical work is focused on the early identification and resulting management of the disabilities associated with perinatal brain injury. His current work aims to apply non-invasive imaging techniques (EEG, functional MRI and simultaneous EEG-fMRI) to characterise the development of functional activity in the human brain, during fetal and preterm life and following brain injury. He is also aiming to gain a deeper understanding of the underlying biophysics of the fMRI signal in the newborn brain. He also holds a visiting position in the Human Robotics group at Imperial College London, where they are developing novel tools for use in the MRI scanner and automated rehabilitative strategies for young infants who have suffered brain injury.